WASHINGTON — Michael Rodriguez doesn’t know what the national Global War on Terror memorial will look like, but he’s confident about where it should be. The Global War on Terror Memorial Foundation is about to launch a multi-month outreach project discussing the size, scope and meaning behind the planned tribute, authorized by Congress in 2017. That will include surveys of troops, veterans, military family members and even individuals with no direct link to the wars in Iraq and Afghanistan to collect their thoughts on what the memorial should include. Foundation officials announced that Winstanley Architects & Planners will serve as the architect for project and will lead that effort. Like other national war memorials, the foundation is following a rigorous 24-step process outlined by the National Capital Planning Commission to establish site selection, memorial design and construction schedule. But unlike other memorials, foundation officials are conducting their work while troops remain deployed overseas in support of the Global War on Terror. Supporters had to gain special permission from Congress to waive the mandatory 10-year waiting period for the memorial construction process, arguing that waiting longer would prevent veterans from the earliest days of the 17-year-old conflict from ever seeing the final honor. Rodriguez said that presents an unusual challenge of putting the still-ongoing worldwide military operations in context with the height of fighting in Iraq and Afghanistan. 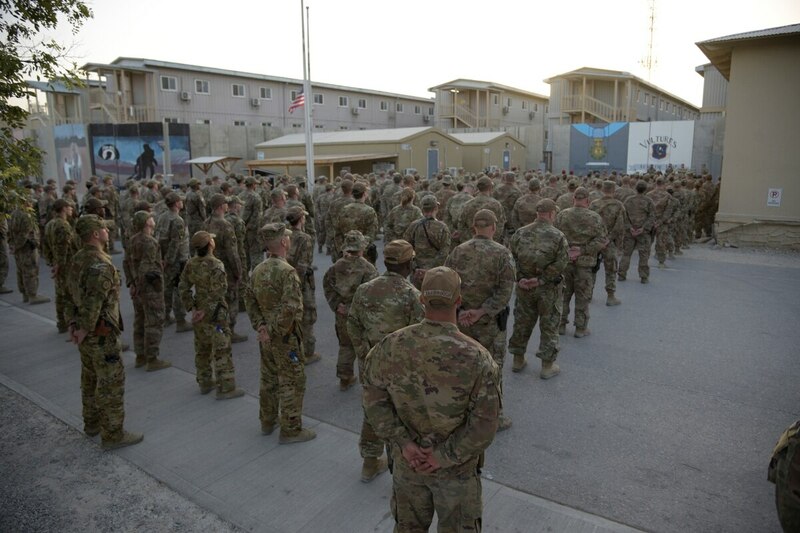 “We don’t know how long this war is going to continue,” said Rodriguez, a former Army Green Beret who served in Afghanistan and saw his wife and son also deployed overseas in recent years. But given the scope of the individuals involved — nearly 7,000 U.S. troops killed and hundreds of thousands of others who served overseas — Rodriguez said he feels the memorial needs a prominent public placement, like the National Mall. Earlier this year, federal officials approved plans for the National Desert Storm War Memorial to be located there, just a short walk away from the Vietnam Veterans Memorial Wall and the Lincoln Memorial. The Global War on Terror Memorial is still several years away from any such decision. Once a site is approved, foundation officials will host a nationwide design competition to establish the memorial’s look and scale. Rodriguez said the goal is to have groundbreaking on the final site in 2022, with dedication by the end of 2024. For more information on the memorial effort, visit the foundation’s website.